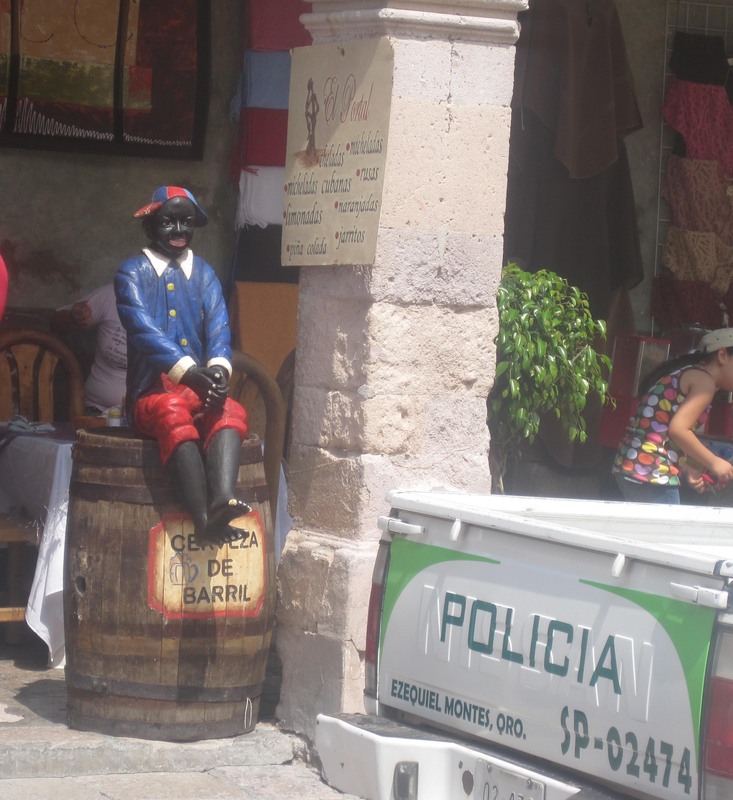 It didn’t take long for the PC police from San Miguel to show up and paint him white. I am unique. I am special. Constant affirmation can lead one down a slippery slope. It is all about what you say to yourself. You make a statement. You believe it with all your heart. It comes to pass. It happens all the time. It is about affirming those you love. It is saying things over and over until they become true. Even though my body has an allegeric reaction when I am exposed to Fluffy, I deeply and completely accept myself. Even though I am afraid to be around Fluffy because of the allergic reaction I know I am okay. I am a Little Teapot too often. This is an old post.. but the spirit moved me to repost it again. I am constantly struck by the number of healers and courses on healing in San Miguel but I am unsure how the causation chain works. I know there is a relationship between the number of fast food outlets and obesity and am pretty sure if people ate less fast food they might be less obese but how does sickness work? Are there courses here because people are sick or do the courses make people sick? Are the people in San Miguel really sick? or simply want to be sick to have something to do? Shaman Way: Archetypes and the Underworld. An exiting program exploring the nature of your true self and your Great Work in the world, co-facilitated by a Mexican shaman. God on Your Own. Based on the newly released book, God On Your Own: Finding a Spiritual Path Outside Religion by LifePath co-founder Joseph Dispenza. 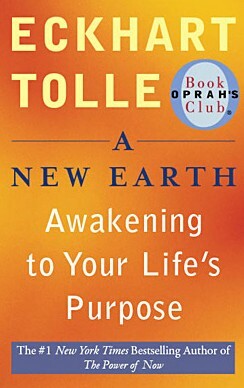 Now you have the opportunity to experience the book’s inspiring spiritual path firsthand with the author. Facilitated by Joseph and Dr. Beverly Nelson. Divine Feminine: The New Planetary Paradigm. This powerful group experience explores the Partnership Model of Culture, and your place in it. Cosmic Consciousness: Path of the Passion. Follow the Jesus-Hero journey from personal to cosmic consciousness, against the backdrop of San Miguel’s solemn celebration of Semana Santa (Holy Week). The Spiritual Gang is sometimes call the New Age Gang – and frighten the Old Age people and all other gangs by their obvious connection to something greater than Art and Money. Their lure is obvious. A hug trumps fire and brimstone and coffee trumps communion wine. Being connected to a higher power gives this group access to gang ideas that other unconnected gangs can’t get. Imagine Yoga and Spanish. This Spiritual leader offers Full Service Spiritual Help -Yoga, Feng Shui, Vacation Rental, Tai Chi and Shopping. This gang is never in the Jardin. They are in a Sanctuary or in the Wilderness or on a Retreat. When they greet you (feel your energy), they will HUG you but be careful because they will use their breathing and their minds to recruit you. Whatever they eat will be Organic and respectful of the environment. At night if you look carefully, you can see a few of them floating over San Miguel, propelled by WHOLENESS. 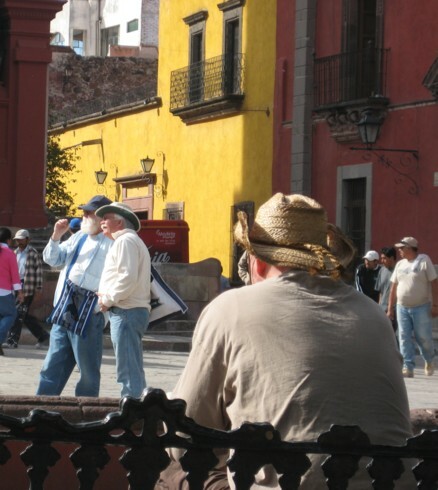 Many people in San Miguel can’t exist without a Woe a Day. If you don’t have art, nor good Works nor translating duties then Woes fills your day. These Woes are distributed by the Gang of Woes. Just like like the gas vendors, and dirt vendors, and water vendors, the Gang of Woes walks the streets of San Miguel carrying their Back Pack of Woes to hand out to those who need a Woe or two. The leader of the Gang is the Black Widow of Woes. Her task is to collect Woes for distribution to her Gang Members. One of the most popular places to find Woes is near a church. The Black Widow stands in front of the church hoping to find a discarded Woe that she can catch and give to her Gang Members for distribution. Churches have many people who want to get rid of their Woes and here is a lady to collect them. Once she has collected enough Woes, she will sit on a bench with a Back Pack of Woes and wait for someone to come by and ask for a Woe or Two. What kinds of Woes does she give away. Here is a partial list of San Miguel Woes. Safety Woes – Safety Woes are the most common. Fear of robbery, break and enter, purse snatching and jostling are some of the common Safety Woes handed out daily. Garbage and Litter Woes No one picks up. There is litter everywhere. Don’t they care. Lurking somewhere on the blog, among the members of the Comment Gang, is that special person, who one day, will give you the richest gift you can imagine. Here is that gift, that was delivered to me (well there were three separate gifts) on March 16th, 2009 at 1:54 pm by an angel Mark T in response to a comment by Doug Bowers. Doug, when are you going to “get it” that Americans have improved San Miguel, raising it from a filthy Mexican town it once was to a desirable destination for world travelers which it is today? If it were’nt for the foreigners who have “invaded” SMA most of the “natives” would not know where their next meal was coming from! You make more noise and do more belly aching than any Mexican I know…perhaps with the exception of Sr. Vidargas and his ungrateful group Basta Ya! Talk about ungrateful! Who would want San Miguel to revert to something like Dolores Hidalgo? 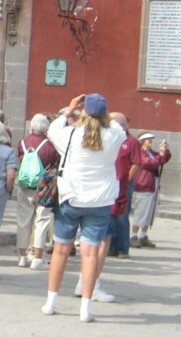 You don’t see tourist dollars pouring into DH do you? The only Mexican culture you can find there is the cathedral, the ice cream vendor in the zocalo. a couple of guys polishing shoes and some talavera tile…whoop-ti-do! Wow…I’d travel from anywhere to see that assortment! If you think SanMiguelenses are poor, check out the average local in Dolores. Doug…I wish you would just shut the f&#k up! You must be one of the most bitter people on the planet. I’l bet you’d like to live in SMA all by yourself with the Mexicans, wouldn’t you? You my friend are a fool! And then a final gift that could be called a parting shot. In fact…why don’t you move to Ranch Viejo or, Los Galvanes and never leave? Then you would really experience the “Mexican Thing” you are hoping to keep to yourself! Get a life! For a blogger this was like Christmas morning. After 68824 hits, I had finally found someone who gets it. Here I thought, all this satire was being wasted and out of the blue comes someone who understands my deep desire to live in a filthy Mexican town with hungry Mexicans and eat ice cream and have polished shoes and buy Talavera Pottery. I am in the car this morning, to look at properties in Dolores Hidalgo and to look for the filth and hungry Mexicans that I must have missed the last time I went to buy some Talavera and icecream. This may be the last post. The Doing Good Works Gang loves to take an old tradition and re-engineer it. A good example is the annual Juan de Los Lagos pilgrimage. There a lot of elements here – good works, Mexican traditions, a spiritual component, physical fitness, group energy and of course travel. But there are a lot of bad elements too – too far, too many locals, high level of physical fitness, and no Best Westerns on the way. But a Doing Good Works Gang – CASA (Centro para los Adolescentes de San Miguel de Allende – the organization is dedicated to combat and prevent domestic violence against women and children) has been able to create a unique fund raising version – the Pilgrimage Lite. First the time frame is shortened from 1 to 3 days. This way you get a once in a lifetime spiritual event and the emotional rush of walking with the locals without all the pain of the full walk by foot. We will depart at 7:00 am with many other Pilgrims (read non Expat) and great fanfare and spirit! Thirdly for the real pilgrims (read three day pilgrim) CASA will provide hot meals, water, and snacks every day and at night tents and sleeping pads. Martha Stewart sheets and pillow cases will be provide for a small charge. Fourthly, you will have helped support a good works and be able to tell people about your adventure as a Pilgrim. At that Thanksgiving you will understand. Fifthly you can take pictures and have evidence of your struggle as a Pilgrim. Lastly the Faux Pilgrim (read one day) will only have to walk according to their ability (one person said “It’s only 4.2 flat miles and 2 – 3 hours“) but you can go up to a maximum of 10 miles (Super Hero distance) and then they will be bussed (sic) and bused back to the Jardin in time for the Chili Cook off. Be an Amigo $ What you can…every donation is a stick in the cycle of domestic violence! Pilgrimage Lite is so much more fun that a full dirty Pilgrimage.